Raccoons are intelligent survivors who thrive in urban and densely-populated areas. They’re pure omnivores and will eat just about anything. Garbage is a common staple for raccoons and can cause headaches for business owners, property managers, and homeowners. 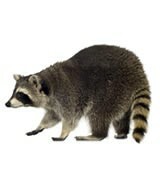 Critter Control in Dallas has extensive experience in dealing with common raccoon problems. It’s essential to understand these creatures and the damage they can do. For example, home or property invasion is one of the common raccoon issues. They’re resourceful, agile creatures and have been known to break into homes or businesses they think contain food. The most common entry point is through attics, where they can wreak havoc on your insulation, wiring, and air ducts. They may also tear open vent coverings or walls to make their way inside a home. If your raccoon troubles only extend to the yard, repellants aren’t usually enough to discourage them from entering a place they suspect has food. Fences are also ineffective, since raccoons are nimble climbers. They may also dig up a yard to search for insects to eat. One of the biggest issues with raccoon-human relations is the animals’ love of garbage. People throw out lots of uneaten food, which will attract raccoons in the area. These animals will tip over or dig through trash bins and garbage cans at homes or businesses. One of the most common methods for resolving this is applying bungee cords over trash can lids, but they’re clever enough that even this may not keep them out of the trash. No matter what sort of raccoon issue you’re facing, Critter Control in Dallas can handle it with safe, effective, and humane methods to trap and relocate these troublesome little bandits before they tear your house apart. Contact us for more resources related to common raccoon problems.